American Gothic is a famous painting that was created in 1930. Wood entered the painting in in a competition at the Art Institute of Chicago, winning the bronze medal. Since it came out at the onset of the Great Depression, it was viewed by many as a symbol of the steadfast American spirit. Many saw it as a struggling farmer and his wife who refuse to give up. The woman is actually Wood’s sister. The man, his dentist. While not one of Manet’s more famous paintings, this work is still certainly recognizable. It pictures a woman barmaid at it’s namesake, A Bar at the Folies-Bergere. It is a café-concerts in Paris, which is like a beer hall with music and circus acts. The painting is most known for the look in the woman’s face. She looks like a disgruntled employee. I like it because it also depicts my favorite beer: Bass Ale. As far as the woman, her name is Suzon, and she was actually a barmaid that worked at the bar. This painting made news a few years ago when it sold for over $40 million. The woman in the painting is Madame Ginoux. 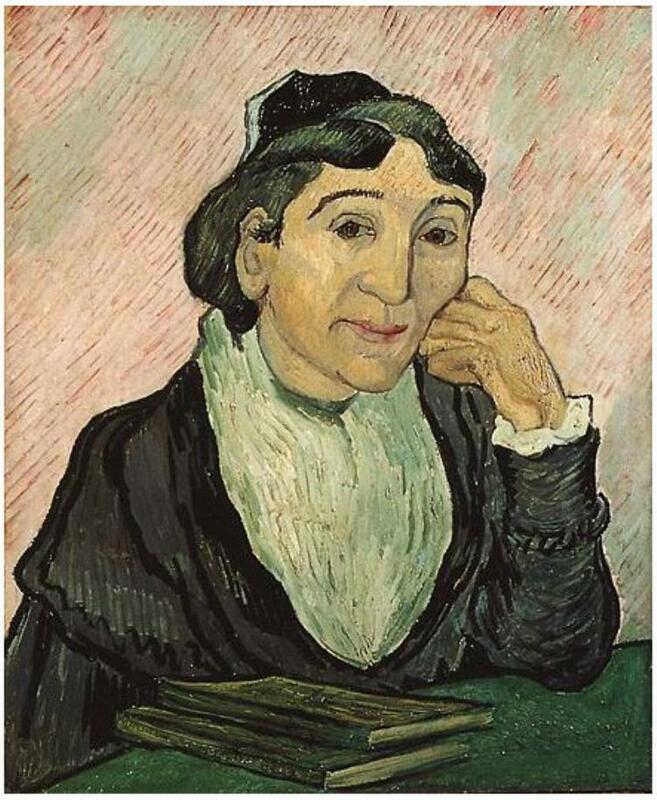 She was the wife of Joseph-Michel Ginoux, who owned a cafe that Van Gogh frequented. This painting was done about the same time that the painter cut off his own ear. 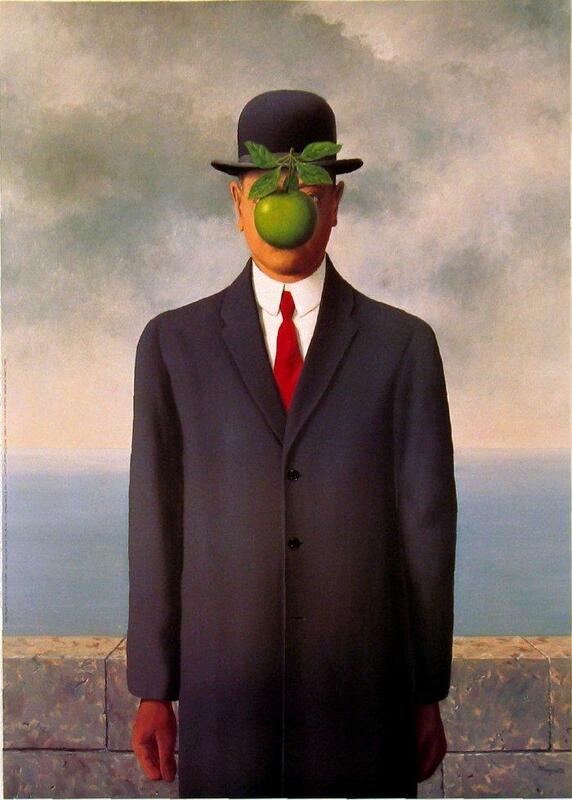 This is a painting done in 1964 by Belgian artist René Magritte. He said about the painting “Everything we see hides another thing, we always want to see what is hidden by what we see. There is an interest in that which is hidden and which the visible does not show us. This interest can take the form of a quite intense feeling, a sort of conflict, one might say, between the visible that is hidden and the visible that is present.” So there you go. When asked about the man in the portrait, Magitte said it was a “portrait of the artist.” So the man in Magritte’s painting in Magritte himself. 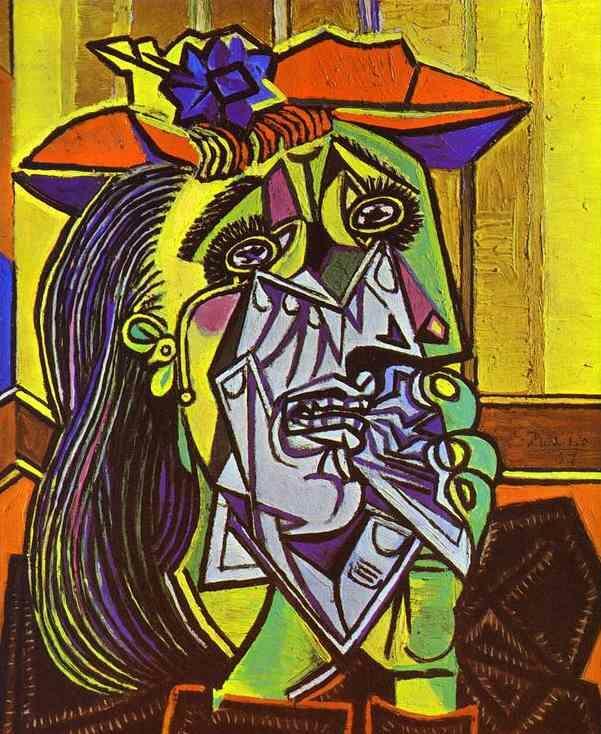 The Weeping Woman is considered a continuation of his famous Guernica painting.It was meant to show the effects of suffering following the Spanish Civil War, both in Spain and the world over. The woman being depicted in the painting is Dora Maar. She was Picasso’s mistress for several years and his personal photographer. 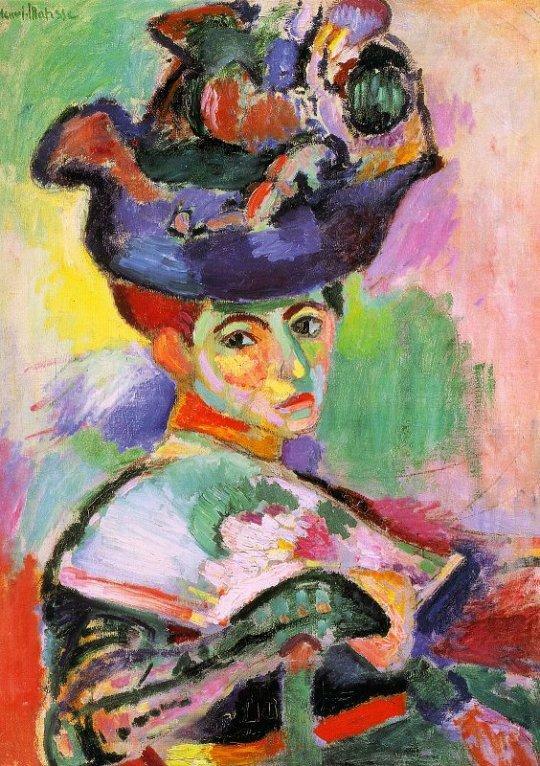 This painting by Matisse was initially panned by critics. One went so far as to say “A pot of paint has been flung in the face of the public”. That all changed when this painting was bought by Gertrude Stein, who was known as a major player in the art movement. The woman in the hat is none other than Matisse’s wife, Amelie. This is probably the most famous work by this Dutch painter, and the second most famous portrait next to the Mona Lisa. (Although it is not considered a “tronie”, not a portrait.) 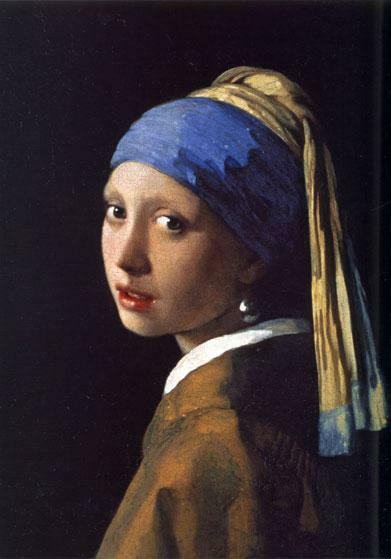 While no one knows for sure, the girl in the painting is widely considered to be Vermeer’s oldest daughter Maria. This is mostly because the girl very much resembles a known portrait of Maria when she was 13. Arguably the most famous painting in the world, the identity of the subject is a topic under much debate. 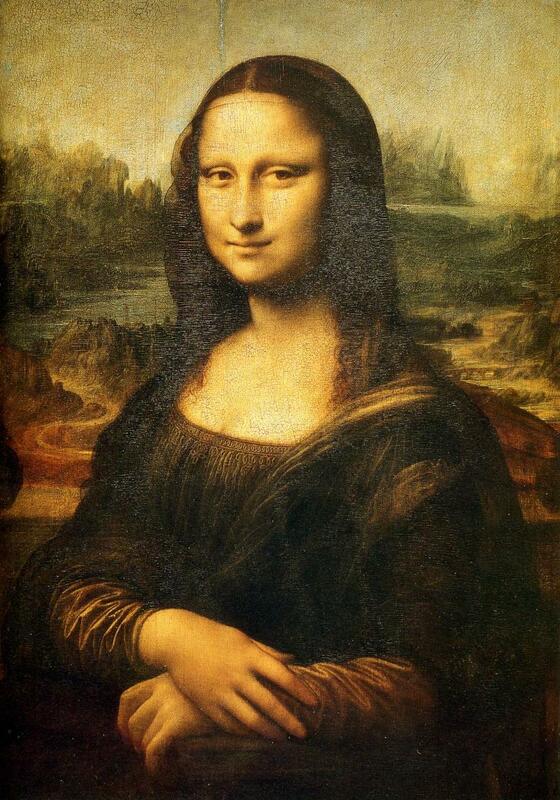 Some have said that it was painted in the likeness of da Vinci’s mother. Others have speculated that da Vinci used himself as the base for the figure. While no one knows for sure, the most likely explanation is that the woman is Lisa del Giocondo, who was the wife of a wealthy Florentine merchant and for whom the painting was commissioned. 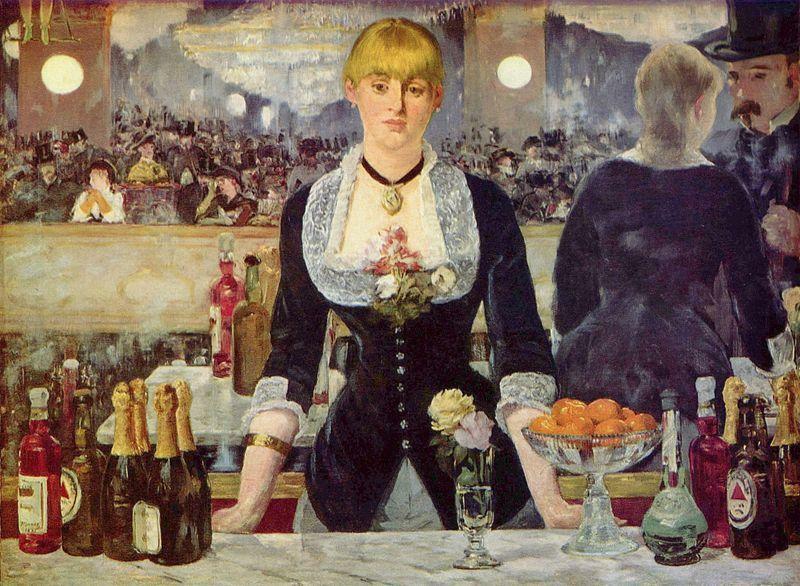 The model in “The A Bar at the Folies-Bergere”, By Édouard Manet was not an actual barmaid. Her name was Victorine Meurent who not only modeled for “Olympia”, but was also a fairly well-known painter in her own right. Good to know the Art Hist. M.A. comes in handy somewhere. 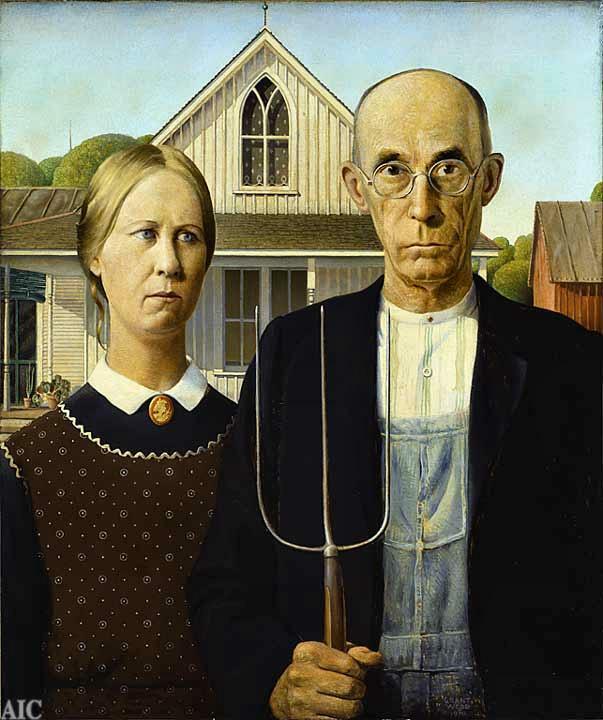 Another comment about “American Gothic” — the simple style of the home depicted here is called “Carpenter Gothic”, from which the title of this famous painting is derived. Interesting work, I appreciate the explanation for “Son of Man”. I’m using search engines reader in addition. Hiya! I just wish to give a huge thumbs up for the great info you will have here on this post. I can be coming again to your blog for extra soon. Your blog is nicely arranged. pleasing theme, helpful content. Thanks for the info! What’s up, I’ve got to thanks a lot the main autor about the webpage. All is evident and then advantageous. The style is likewise impressive for me. Do you really remember phon use subject material ? layout do you take advantage of? cheers yet again and even carry on the good task. Have you ever heard specifically what the latest information was in Dallas? This is so mind-boggling. I think that art is one of the most beautiful things in the world……there are others like poetry….but paintings are still my favorite….and my favorite is the girl with the pearl earring such an innocence about her that we no longer see….i see such a value the world has lost.it is a shame that we have to to art to find those things today….. Achieve full entry to this take a look at report and lots of more product opinions and knowledgeable rankings. Billed quarterly at $23.ninety five. How toward Get rid of Belly Body weight For Females? This x That: The Big Picture: Chile, three days later. Capt….